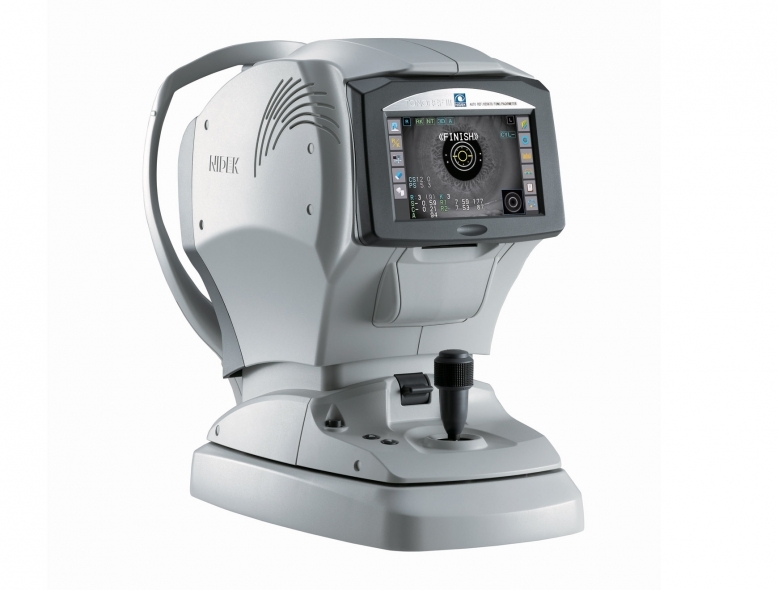 This masterpiece of combination provides you in no time an automated calculation function of the corrected IOP based on the central corneal thickness. Generally, the IOP is overestimated for thick corneas and underestimated for thin corneas. The corrected IOP value allows a more accurate assessment. The 3-D auto tracking and auto shot gives faster, simpler, and more accurate measurements. Once alignment is completed, the measurement starts automatically. The joystick helps the operator make fine adjustments during alignment to improve the precision, even for eyes with poor fixation which cannot be tracked with automated tracking systems. The new mechanical design of the TONOREF™ III reduces noise and air intensity to achieve a more gentle air puff over that of the TONOREF™ II. Based on the previous measurement data the Automatic Puff Control (APC) function performs the subsequent measurements with the minimum air pressure.